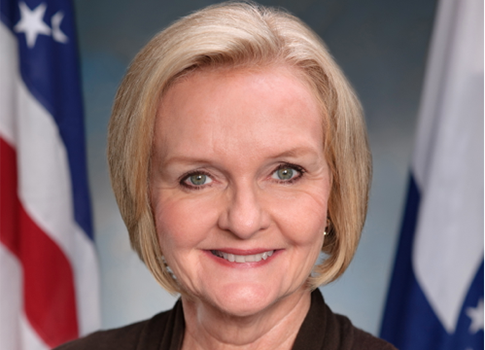 Sen. Claire McCaskill (D., Mo. ), one of the wealthiest members on Capitol Hill, has benefitted from federal low-income housing subsidies, according to the Associated Press. Businesses affiliated with the husband of Missouri Sen. Claire McCaskill have received almost $40 million in federal subsidies for low-income housing developments during her first five years in office, though it appears only fraction of that has made it to the family's bank accounts, according to an Associated Press analysis. AP reports that Sen. McCaskill did not personally intervene to direct money to her husband’s business interests, but notes that the couple did profit from federally supported companies. There is no evidence that McCaskill personally routed the money to her husband's businesses. But she voted for some – and against other – bills that funded the federal housing and agriculture departments, which in turn provide subsidies to businesses with federal contracts to provide low-income housing. The AP reviewed five years' worth of federal personal financial disclosure statements filed by McCaskill, which list more than 300 "affordable housing" businesses in which her husband, Joseph Shepard, had at least a partial ownership during the time she has been in office. At least one-third of those businesses also appear to be listed as recipients of federal payments in an online government database that tracks spending. The firms affiliated with Shepard appear to have received about $39 million from the U.S. Department of Agriculture's Rural Housing Service or the Department of Housing and Urban Development between 2007 – when McCaskill took office – and the end of 2011. According to McCaskill's financial reports, Shepard earned an income of between about $400,000 and $2.6 million from those businesses in the years in which they received government payments. McCaskill is locked in a tight battle with Rep. Todd Akin for the Senate seat up for grabs in Missouri. According to Real Clear Politics, McCaskill has a 2.3-point advantage over Akin. This entry was posted in Politics and tagged Claire McCaskill, Congress, Todd Akin. Bookmark the permalink.